Until Seattle Lunch 2.0 @ Widemile!! There are still some seats left too!! If you want to get in or decided you won’t be able to make it – Go update your status at Upcoming.org. This event should be good, loads of free organic food! Two great speakers who have built web marketing companies on the shoulders of their expertise in the field. Of course the usual networking with the local tech community!! All the details on bus service, parking, etc are ath the Seattle Lunch 2.0 wiki. Also next week is the Boston Web Community Dinner that my friend Len is putting together with EMC’s wallet!! Perhaps if it’s a hit we’ll get a Seattle Lunch 2.0 @ EMC (of course we’ll have to top the HDS lunch). I won’t be in town for the lunch, that is the hard part about working remotely and being a huge fan of spending my spare time with my family….. I tend to miss the corporate sponsored fun. 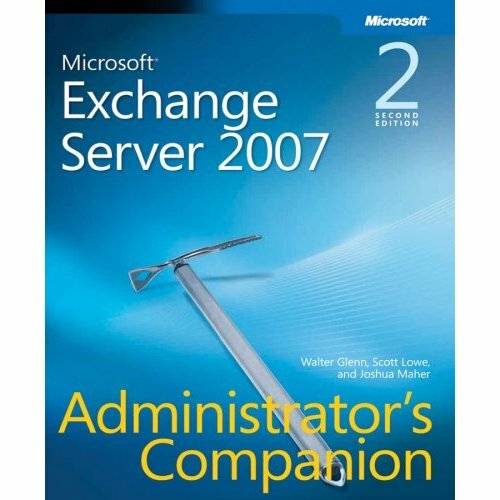 In case you missed, Ehlo’s post yesterday afternoon, The Exchange Team claimed the Exchange 2007 wiki so go check it out. KC was also nice enough to share in my comments why the wiki looks oddly like some of the tech tips….Thanks Vivek for making that information available to everyone. Inside those categories are some posts that we’ve seen on The Microsoft Exchange Team Blog (like “Speak SMTP Like a Native“) as well as some new content (like the script Vivek wrote or “General Assumptions on Restore-Mailbox Scenarios“).There is not much detail about who is running the site. It is an EditMe.com (http://e12.editme.com get’s you there as well). If it happens to be you that is running the site, I’d like to hear from you…. Useful idea to innovate RSS? I saw a new RSS aggregator today on TechCrunch. This is a great idea for basic RSS reading, I personally use netvibes for my RSS reading pleasure, but this is worth a look. I’m sure you have read by now about The Long Tail. It is all over the Blogosphere and more. Just about everyone has put up some sort of post about the theory of the long tail and it’s varying degrees of effectiveness. Some people agree the Long Tail works, some people think it does not. I wonder if the folks in Lebanon have heard about The Long Tail. How does The Long Tail affect Search Engine Optimization (SEO)? A few key tag’s borrowed from Tecnorati, a few techniques borrowed from “how to optimize your blog“, and let’s see what happens…….